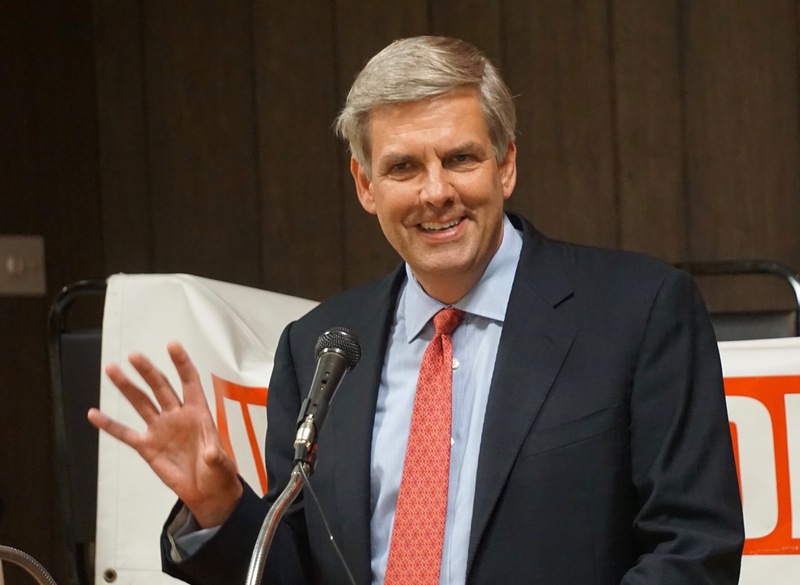 Republicans are outspending Democrats on television advertising in the race for governor of Connecticut this month, even as questions persist about the financial resources directly available to the campaign of the GOP nominee, Bob Stefanowski. Outside fundraising has improved for Stefanowski since he won the Republican gubernatorial primary last month as a largely self-funded candidate, but not nearly enough to save him from having to make another contribution of $250,000 to keep his campaign solvent and resume advertising. A campaign finance report filed at midnight Thursday shows that Stefanowski raised $262,798 from 479 donors in the first 15 days after the Aug. 14 primary, a significant improvement for a campaign that took in only $666,881 from outside sources in its first 11 months. More than half of the post-primary money came from 43 donors who gave the legal maximum of $3,500. But the improvement still leaves the campaign reliant on the personal finances of Stefanowski, 56, a former corporate executive who now has loaned or contributed $2.6 million of his own money to the campaign’s total receipts of $3.5 million through the end of August. His campaign went off the air and did not resume advertising until he contributed $250,000 on Aug. 29. 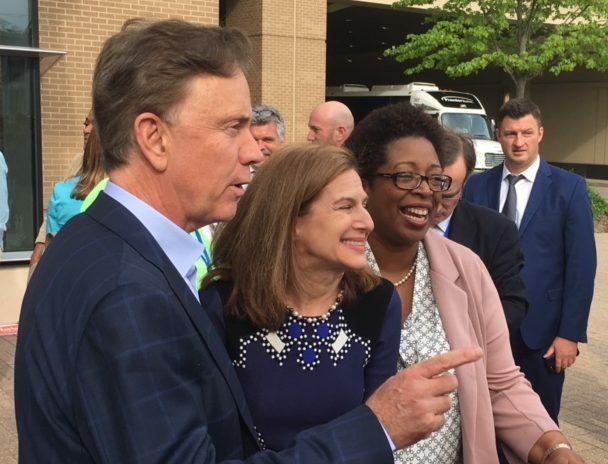 The financial resources of Democrat Ned Lamont, who has contributed $3.9 million of his campaign’s total receipts of $4.29 million, or his willingness to keep spending on his third self-funded campaign for statewide office are not at issue. Lamont inherited money, made money building and selling a small cable-television operation, and is married to a wealthy venture capitalist. The Democratic Governors Association is monitoring the Connecticut race, but it has been content to let Lamont bear the financial burden of defending a seat Democrats recaptured in 2010 after two decades of Republican rule. The DGA, which spent about $4 million in support of Gov. Dannel P. Malloy’s re-election in 2014, has yet to reserve television advertising time. Not so for the Republican Governors Association, which sees Connecticut as offering the best chance to win a Democratic seat in 2018. It is funding a super PAC that began airing commercials immediately after the primary, when the Stefanowski campaign went off the air. Stefanowski is back on cable and broadcast television, its commercials supplementing those of the RGA-funded group, Change PAC. For the three-week period starting on Labor Day, the Republicans collectively outspent Lamont by roughly $1 million to $700,000 to reserve time on TV, according to public broadcast purchase records and private media tracking data reviewed by CT Mirror. About 60 percent of the Republican spending came from Change PAC, the rest from Stefanowski’s campaign. Stefanowski’s latest report showed him with $153,451 in cash on hand and $43,978 in unpaid bills as of Aug. 31. Lamont had $396,364 in cash and $55,901 in unpaid bills. But campaign finance filings are of limited use in assessing the resources of a self-funder’s campaign. For self-funders, cash on hand is less important than what personal checks the candidate is able to write. Lamont spent $17 million of his own money in a $20 million campaign in 2006, winning the Democratic nomination and then losing the general-election to Sen. Joseph I. Lieberman, who continued as a petitioning candidate after losing the primary. In 2010, Lamont spent $9.1 million of his own money in a $9.6 million campaign in 2010, losing a gubernatorial primary to Malloy. He added money as his campaign needed it in those years. His campaigns seldom showed a great deal of cash on hand. Financial disclosure forms filed in 2006 as part of his Senate race showed Lamont and his wife, Annie, a successful venture capitalist with a specialty in health and finance technology, with a net worth of between $90 million and $332 million; between $54 million and $193 million of that money was attributed to her. Connecticut has no such financial disclosure requirements for candidates for governor or other state offices, and Stefanowski’s net worth is not a matter of public record. Stefanowski’s campaign says it is and will remain competitive. Stefanowski’s last job was as chief executive officer of DFC Global, a payday lending company in the U.S., U.K. and Europe. Once publicly traded, the company was purchased and taken private by Lone Star Acquisitions shortly before Stefanowski was hired in 2014. He left the company in 2017, but the terms of his departure and compensation are not public. The release of tax returns, a common practice in Connecticut gubernatorial politics, would provide some public indication of Stefanowski’s wealth. Stefanowski’s campaign has yet to say when and if the candidate would release his tax returns. Malloy and Tom Foley, his GOP opponent in 2010 and 2014, released their returns. Republicans have questioned from the start of Stefanowski’s campaign how much money he could spend as a self-funder or raise from others. As a political newcomer with no ties to the GOP fundraising establishment, Stefanowski has scrambled in recent weeks to assemble a stronger fundraising team. Leora Levy, a Republican National Committee member from Greenwich, is now leading Stefanowski’s finance committee, and his campaign says a flurry of fundraisers is bringing in more money than the daily take of $17,500 reflected in the post-primary report.